It is time for a new blog series! In this "Back to the Basics" series, I am going to give you the scoop on some great everyday products that I have tried out and enjoy using. Back to the Basics: Hair Products that Work! Lets start with some hair products, shall we? 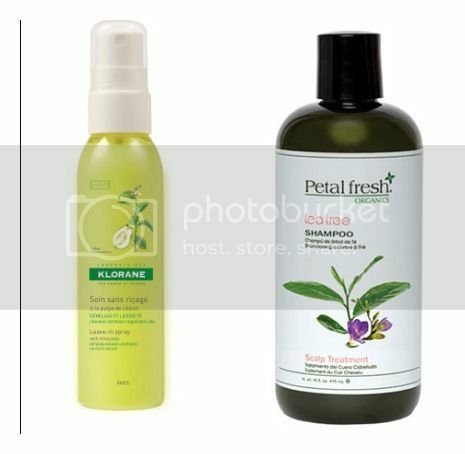 Today I am going to give you the scoop on Petal Fresh's Organic Tea Tree Shampoo and Klorane's Leave-In Citrus Pulp Spray. These products work to clean, protect, detangle, refresh and nourish your hair while invigorating your scalp! To find out more, click "read more" below. 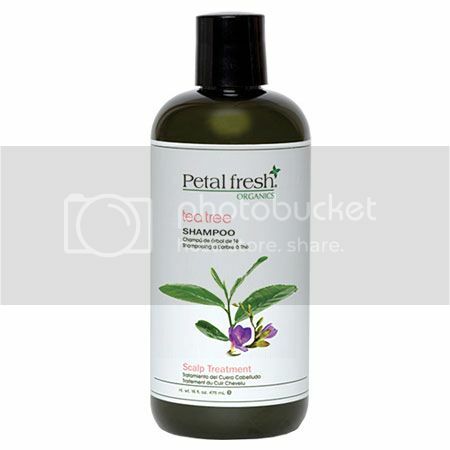 Petal Fresh Organics Tea Tree Shampoo: The affordable and eco-friendly Petal Fresh hair care line (available at SFRbeauty) brings you herbal products that are effective while not containing any harsh chemicals or ingredients. This shampoo is formulated to nourish dry and damaged hair while invigorating your scalp. Tea Tree is a natural disinfectant that leaves your skin feeling refreshed. I love the somewhat minty tea tree scent. It feels so refreshing to use this shampoo! It produces a mild lather and leaves my hair and skin feeling super fresh and clean. This Tea Tree Shampoo retails for $16.00 for a 16 fl oz bottle. Klorane uses hand-picked Corsican variety Citron fruit which is brimming with amino acids, vitamins and carbohydrates essential for cleaner, lighter-feeling, naturally lustrous hair. Citron fruit extract provides triple-action benefits to: (1) nourish and energize the hair bulb and strengthen and protect the hair shaft; (2) offer anti-free radical action to fight oxidative stress from pollutants, UV exposure and stress that can contribute to oil gland activity going into overdrive; and (3) neutralize the calcium in hard water that can dull hair’s luster. Combined with Glutamic Acid to slow down sebum production and Vitamin B5 to boost radiance, both innovative, paraben-free formulas leave hair feeling light and refreshed, full of energy and brilliantly radiant. White vinegar in Leave-in spray with citrus pulp gently detoxifies without weighing hair down. This Citrus Pulp Leave-In by Klorane detangles beautifully while also toning the hair. My hair feels refreshed when I use this product. I just love the clean citrus-y clean scent of this product! Plus, my tangle-prone hair is super easy to comb out and detangle when I use the Citrus Pulp Leave-In. :) I find that my hair is much more manageable and easier to style. How I use: To use, I just spray in after towel drying my hair and then I comb out my hair.